One of the perks of having author extraordinaire J.K. Rowling on Twitter is that she’s always willing to set the record straight. And she did just that recently in an attempt to fight the rumors about a potential Harry Potter and the Cursed Child movie trilogy. 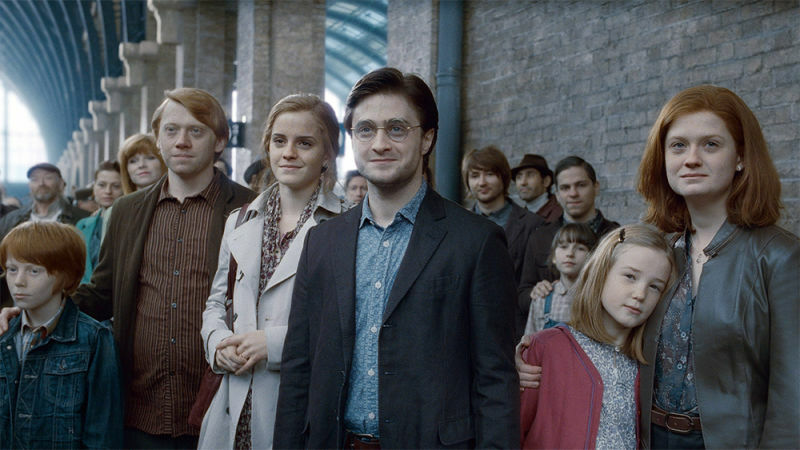 J.K Rowling confirms that there will be no Harry Potter and the Cursed Child film trilogy. While we’ve had our hopes up for far too long, the brilliant brain behind Harry Potter has officially dashed them. Of course, fans are now reading into her words. The folks at i09, for example, were quick to point out that Rowling said there wouldn’t be a trilogy, specifically. We know she’s a sneaky writer (anybody remember the Horcrux cameo in book 5??) So it’s possible she was choosing her words vvvvverrrry carefully, and there could still be movies, just not a trilogy. Nonetheless, We appreciate that J.K. Rowling is willing to stop rumors before they become large news. And Potter fans, never fear! There will still be five Fantastic Beasts movies. So there’s still a lot of magic left to be explored!